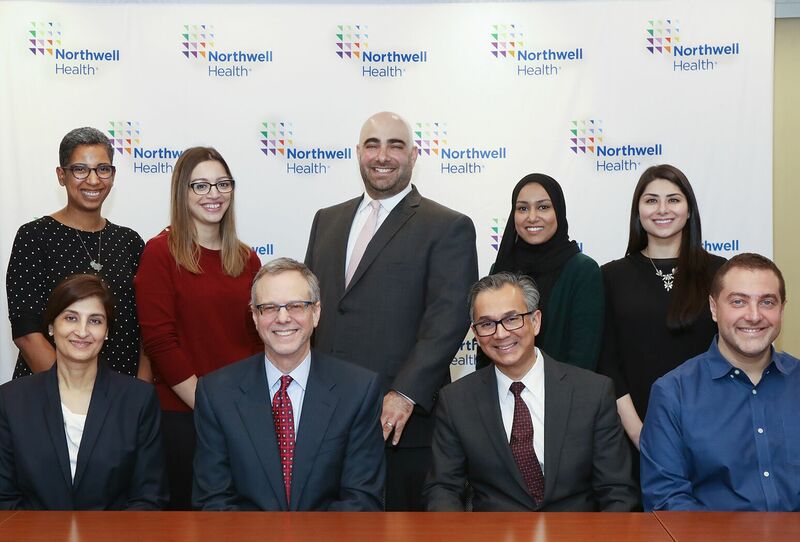 Northwell Health's Eric Cio-Pena, (standing, back row) and Shanti Bhavan's Erika Imam (seated, left) thank the doctors preparing for medical mission to India. In an effort to alleviate the pain and suffering of the poorest residents of India, a team comprised of 11 Northwell Health physicians, one university professor, and two public health students discussed their preparations for a medical mission to the Shanti Bhavan school, chronicled in Netflix “Daughters of Destiny” documentary. In addition, doctors specializing in pediatrics, emergency medicine, psychiatry and family medicine will provide both medical and behavioral health screenings for the school’s students and residents of nearby communities. All of this work (which will take place over the course of a month) will be done to create a health needs assessment for the region. Shanti Bhavan offers students – most of them born to Dalit parents (from the bottom of the former Hindu caste system) – a chance to escape the crushing poverty and widespread discrimination in which they live. The students are provided with an education, room, board, meals, clothing and medical care at no cost, from K-12th grade, in exchange for a pledge of duty and community service once they enter the real world. Many of Shanti Bhavan’s students have gone on to college and currently enjoy successful careers in law, economics and medicine. Erika Imam serves as the senior advisor at Shanti Bhavan Children’s Project. After meeting Dr. George at a dinner party in 1995, she understood that his plan for Shanti Bhavan (which translates to “haven of peace”) would go a long way towards easing the burden of the so-called untouchable caste in India who are now called the Dalits. The doctors listed several chronic physical and psychological disorders that are common among populations living in abject poverty, such as malnutrition, pneumonia, infectious diseases, depression and anxiety.